For the first time ever, Clifden won a major national award. 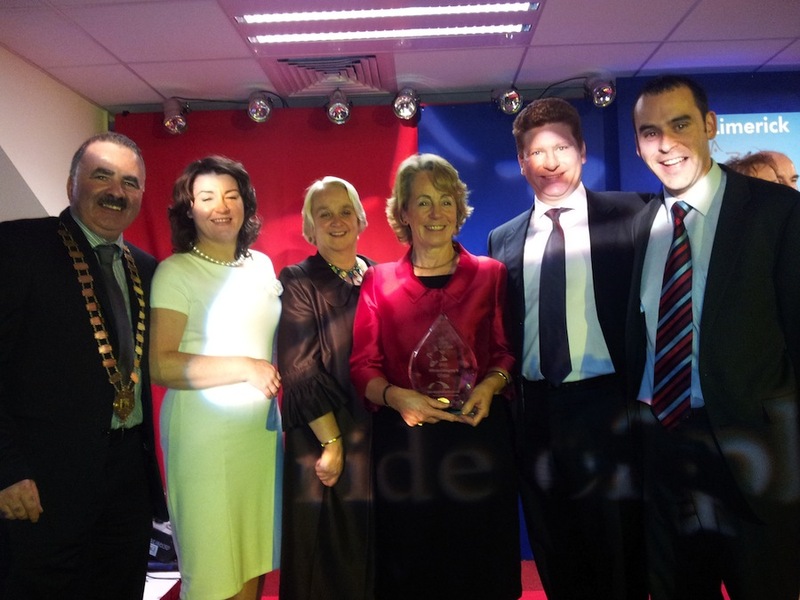 The Galway County Council nominated Clifden as a potential winner for a Pride of Place award. This award was initially proposed by councillor Eileen Mannion whereby the Galway County Council decided to nominate the town for a Pride of Place award. The project was spearheaded, managed and led by Declan Mannion who brought the various community groups together to showcase their talents, achievements and track record over the years. Last Saturday night at a formal award ceremony in Thomond Park, Limerick, Clifden was presented with a magnificent Crystal plaque and a 1000 euro cheque for their outstanding community achievements. This award acknowledges the hard work, energy and commitment done by various community groups over the years, which makes Clifden a great place to live and visit.